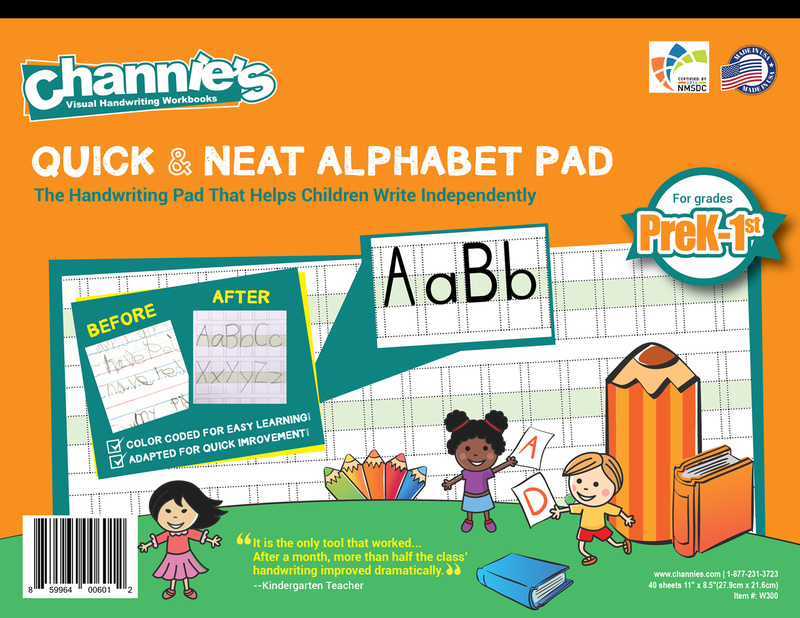 Learning The Alphabet Is Made Easy With Channie’s Revolutionary Alphabet Pads! It is easy to learn and easier to teach! 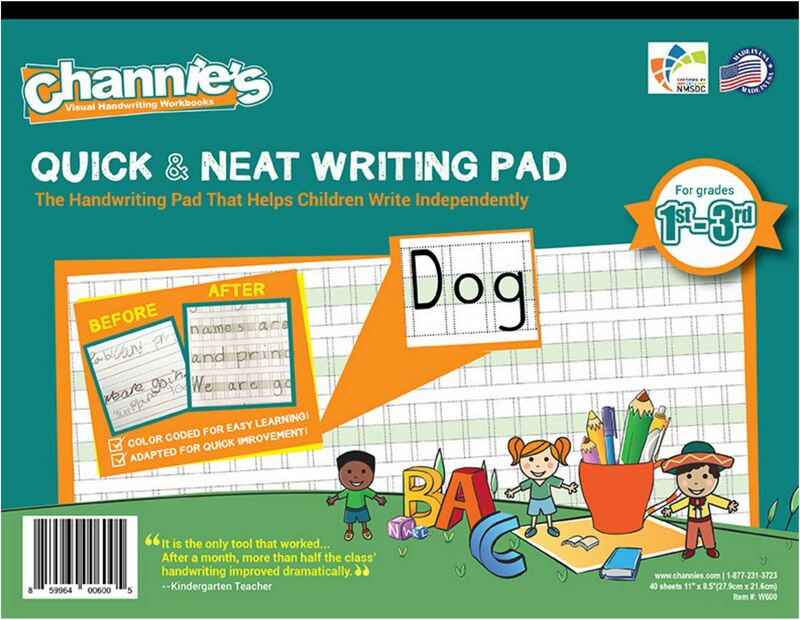 End your child’s struggle with handwriting using Channie’s revolutionary Quick & Neat Alphabet Pads! 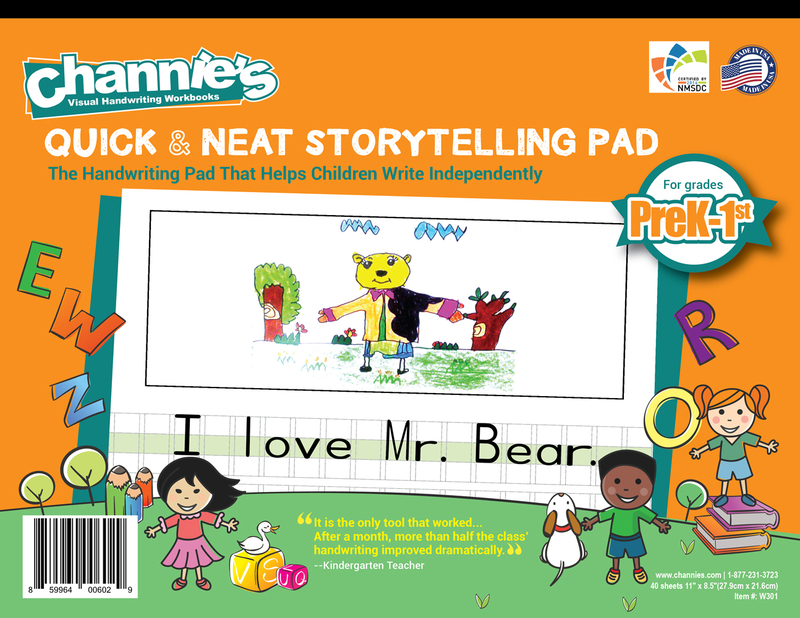 When a concerned mom couldn’t find any solution in the market to help her son’s prolonged writing struggles, Channie took the matter into her own hands and developed this revolutionary learning and writing method to fix every challenge her son Alex faced during his first 3 years of school. In two months, Alex’s handwriting improved dramatically and astonishingly fast! Local elementary schools were so impressed that they immediately adopted this new method for their students as well! How does Channie’s method help? Color coded middle section to guide lower case placement. Double spaced lines to force proper spacing that children normally struggle with. 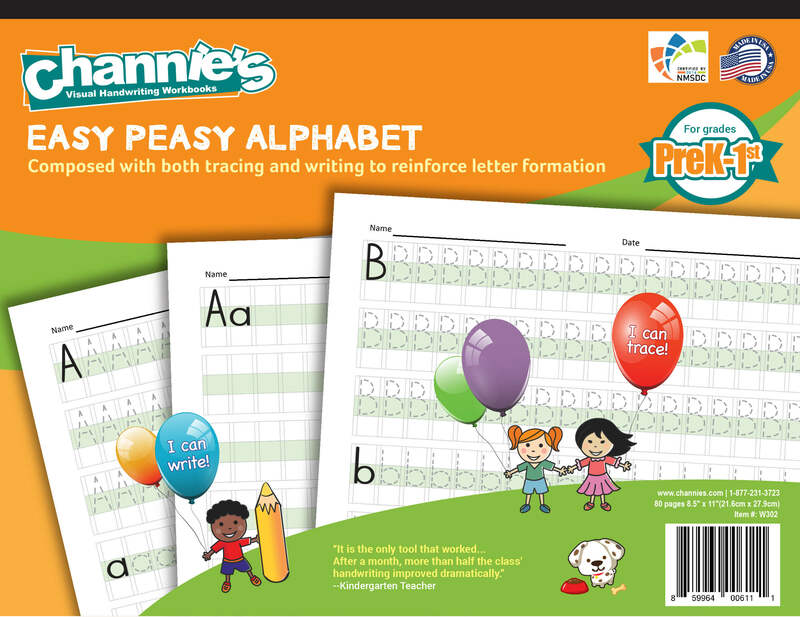 Boxed layout that maintains and controls children’s ability to write in a confined space along a straight line and auto-correct themselves. Uniform blocks ensure consistent and accurate letter sizes. 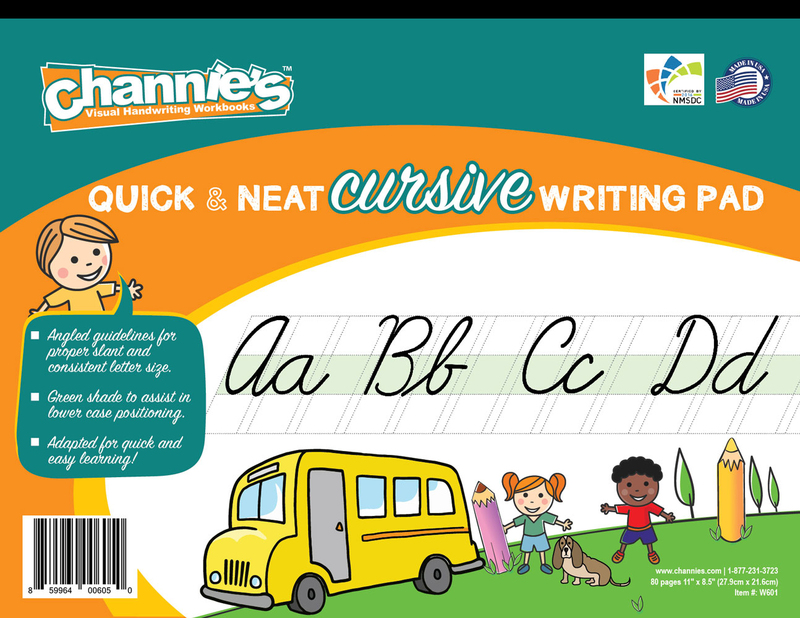 With such a precise method of writing, your child’s writing speed is certainly going to double! 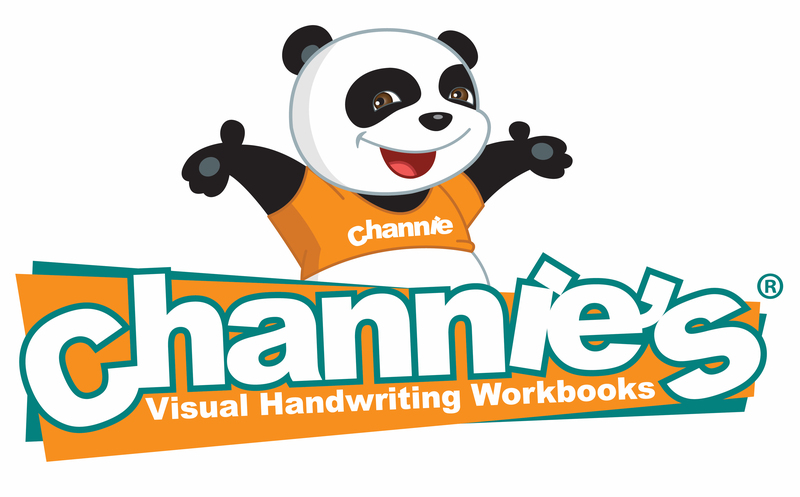 What teachers think of Channie’s workbooks: “It is the only tool that worked… After a month, more than half the class’ handwriting improved dramatically.”—Ms. Motley, Kindergarten teacher. “I used Channie’s handwriting pads in all curriculum areas, math, science, social studies.. And I have seen tremendous growth. The parents have seen tremendous growth!”—Ms. Falls, 2nd grade teacher.